As a landlord, you should always hope for the best, but plan for the worst. Owning a rental home comes with a long list of unexpected glitches. It is important to be prepared for anything that can come your way. At Real Property Management SAC-METRO, we have seen it all and know how to maneuver the ups and downs of property management. Sacramento, CA, homeowners can trust our experienced team to safeguard their properties and protect their investments. Dealing with the aftermath of an operating meth lab within your rental is one of the costliest complications you could face as a property owner. Meth lab cleanup is strictly regulated and monitored by the government. Since homeowners are responsible for the cost of cleanup, the extensive process means a huge financial impact on your investment business. The rise of meth labs in rental properties is a growing problem in property management. Sacramento, CA, landlords have to pay for cleanup, and that’s just the tip of the iceberg. You will face legal fees to evict tenants, potential relocation costs for other tenants, and possible insurance costs. But ultimately, you might have a difficult time renting out or selling your previously contaminated property. 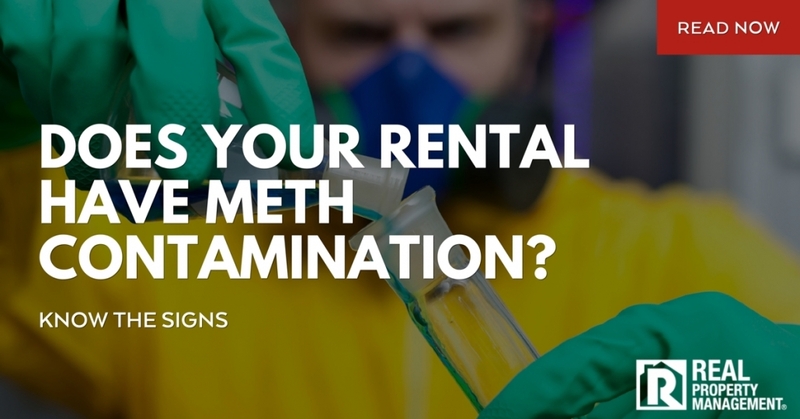 So, what can you do to prevent meth lab operations in your rental? A rigorous tenant screening process is a must. At Real Property Management SAC-METRO, we use a proven process to find qualified tenants for your rental. We check employment, income, and criminal history. While a clean background check does not carry any guarantees, it decreases your odds of running into tenant conflict down the road. Conducting regular home inspections is another way to catch problems occurring in your home. Anything out of the ordinary will stand out during an inspection. There are several red flags to look for if you suspect a meth lab – equipment, odors, empty chemical containers, stained concrete, covered windows, excessive trash, and more. A scheduled, thorough inspection is a critical component of responsible property management. Real Property Management SAC-METRO can take the stress out of being a rental property owner. With more than 30 years of experience, we understand the rental industry and know how to make you a successful landlord. We work hard to increase your bottom line, safeguard your property, and protect you from potential costly scenarios. Learn more about our comprehensive list of services. Call Real Property Management SAC-METRO today.